Penicillin was discovered by accident. The International High School (focus Biology and Applied Sciences) is inspired by the "Biology with Bio medics" pathway course currently offered in Scientific High Schools, with the option of applied sciences. 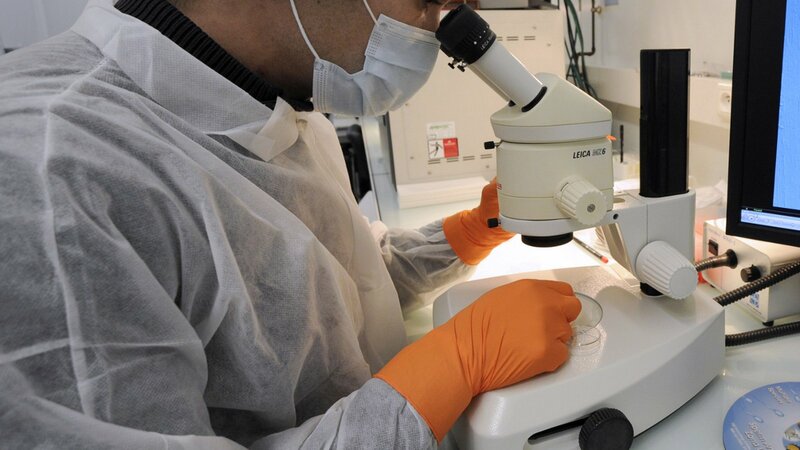 ISP is the only school in Pavia that can offer a passport for success in Italian and foreign universities with orientation to the Faculty of Medicine, Biology, Bioengineering and science and health faculties. 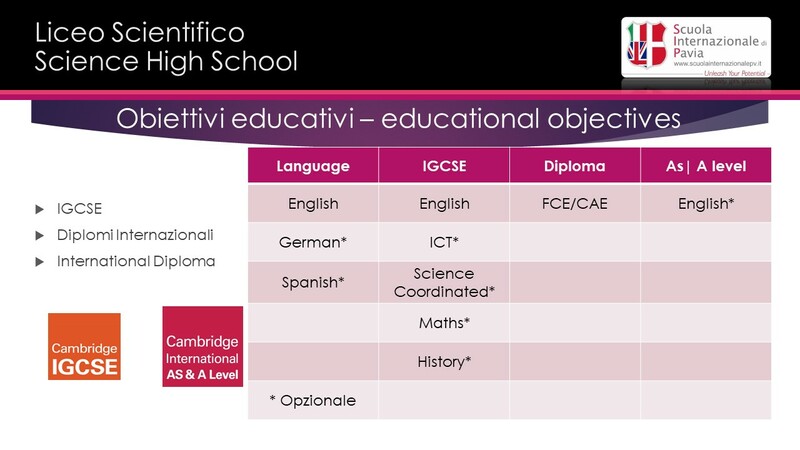 Following the double curriculum (Italian and English) allows students to continue their university studies in England, United States or other counties because they will have sat examinations of IGCSE subjects (studied in English) and A-Levels in Science (in English). 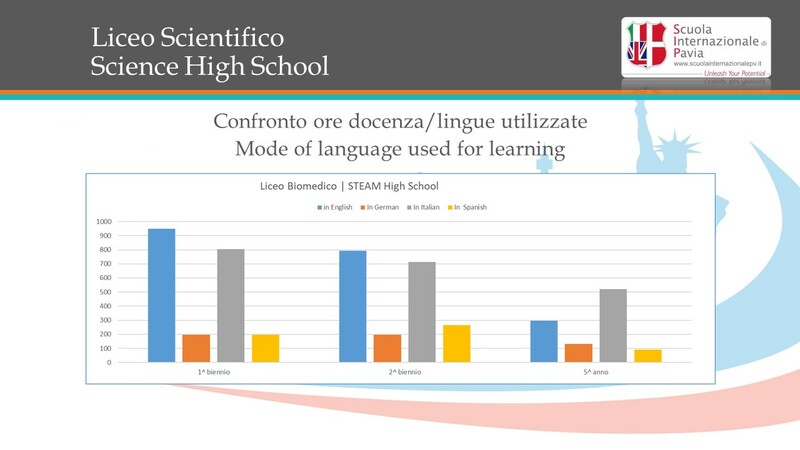 The graph before compares the teaching hours in Italian compared to teaching hours in English. Student-teacher sharing of the "workload"
Students who complete all seven IGCSE subjects will qualify for an International Certificate of General Education (the equivalent minimum leaving GCSE certificate in the UK). Attaining good results in the IGCSE are an important pre-requisite when looking to complete your further studies abroad. Students can enrich their learning with optional IGCSEs in Drama and in a foreign language. If students obtain all seven IGCSE they will undertake a preparation to obtain not only the A-level for English and Literature, but also the A-level in Science. Educational trips have a strong didactic and educational importance and form part of the annual programming. 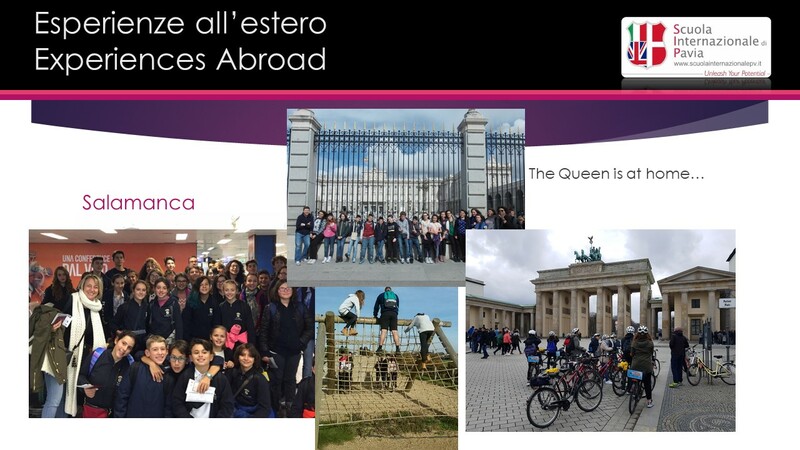 Each year, students are involved in least two experiences abroad at partner schools. During the first three years, many teaching activities and workshops will be carried out in cooperation not only with the state medical board, the Order of Surgeons and Dentists, but also health facilities of the territory. 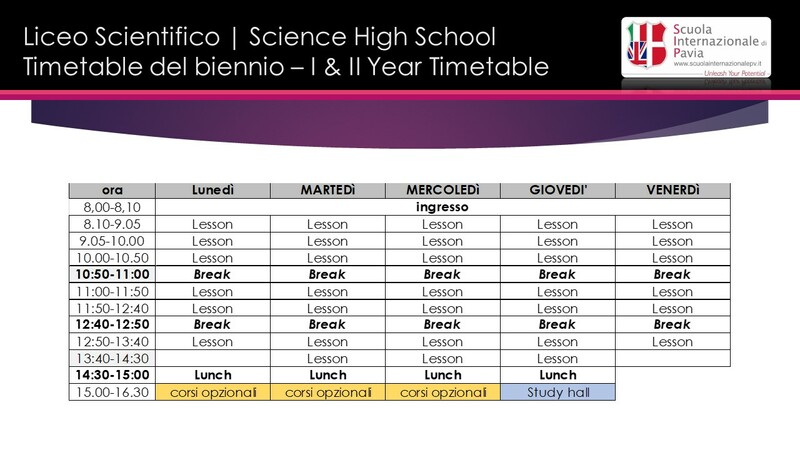 Please complete the enquiry form if you would like a copy of the school timetable and the subjects available.